State Senator Nate Boulton landed his biggest endorsement yet this weekend at the AFSCME Council 61 state convention. The union that represents over 40,000 state workers voted to endorse Boulton, who rose to prominence early on this past legislative session by taking the lead on the collective bargaining fight. This adds to Boulton’s long list of labor unions that have decided to back him early on in the Democrats’ gubernatorial primary. A labor rights attorney whose father is a longtime Steelworker union official, Boulton now has the backing of 20 unions representing over 70,000 Iowa workers, including many large and influential Iowa locals like the Building Trades, Steelworks and Laborers. It appears he’ll have the vast majority of the labor movement with him for his candidacy, though SEIU is expected to support Cathy Glasson, their local president. With eleven months until the primary, this is the earliest that AFSCME has endorsed a Democratic primary candidate in recent contested gubernatorial primaries. The union backed Tyler Olson in late October of 2013 (eight months out from the election) and got behind Mike Blouin in February of 2006 (four months out). In last year’s U.S. Senate primary they endorsed Rob Hogg just a little over a month out from the primary. 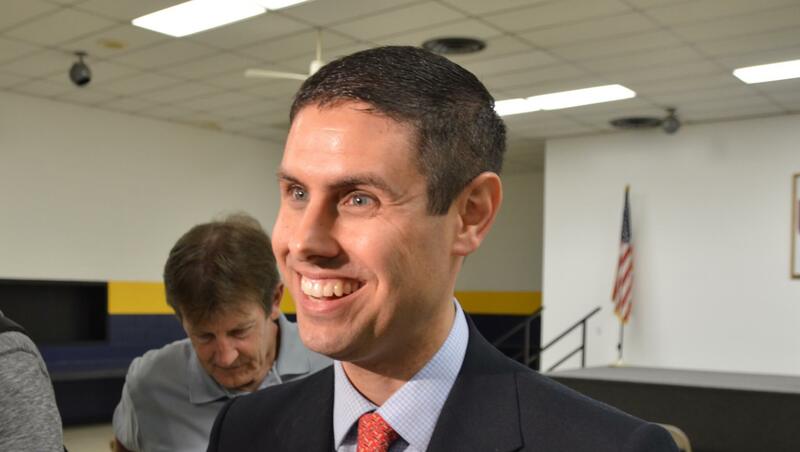 “When the Republican legislature set their sights on Iowa’s public employees, it was Nate Boulton who stood up for us every day at the Capitol with unwavering support,” Jerry Jones, an Iowa public employee, said. Extensive member polling went into this year’s endorsement, AFSCME told Starting Line. There was concern over endorsements after frustrations over the union’s early backing of Hillary Clinton in last year’s presidential caucus when their membership wasn’t fully with her yet. AFSCME conducted significant outreach to their Republican members and found that many of them were even interested in getting involved in the Democratic primary. 95% of their Republican and No Party members responded that they will be or are open to voting in that primary. 86% of their Democratic and No Party members said AFSCME should endorse in the primary, and 71% of all of their members favored Boulton for that endorsement. The other Democratic candidates combined for just 29%. AFSCME said that’s one of the most lopsided results they’ve seen from their membership. The endorsing committee was unanimous for Boulton. With AFSCME’s support will come membership mobilization, political staff assistance and probably some major financial backing. Their members ought to be particularly motivated to get engaged in the governor’s race in 2018 after Republicans passed the most damaging legislation in decades that will impact their paychecks and benefits. The union has already seen significantly higher political activism in the months since. AFSCME’s endorsement caps a strong run of momentum for Boulton during the early phase of the Democratic primary. His announcement was well-received and he found large crowds for his events around the state, especially among younger activists. On Thursday night his campaign showed up in big numbers for the Iowa Democratic Party’s Hall of Fame Dinner. Boulton and Hubbell’s operations were the most visible at the event, leaving many with the sense that they were the two early favorites in the race. With a field of seven or eight candidates, there’s no guarantee that everyone will have a good shot at the nomination, even with the possibility of a convention. Between Boulton’s labor backing and enthusiasm among young activists and Hubbell’s financial advantage and endorsements from some well-known party leaders, it seems like at this early stage they’re the campaigns that are definitely built to go the distance. But there’s still an awfully long way to go to June 5th, with plenty of spirited competition to ensue from the entire field. If you want a strong union supporter and someone who will fight ferociously for Iowa families, you should support Cathy Glasson. She has been the outstanding president for Iowa’s SEIU for years, and has done a great job fighting for workers for years.